They rightly said, that a face could make a lot of impact to your ‘first impressions’. On your face, second only to your eyes, the most noticeable thing is your lips. As you talk with them or purse them in a thoughtful expression or just smile, all eyes are automatically drawn to them. And of course, in the language of love, lips have a starring role! A kiss can soothe a hurt, ignite a romance, and mark a friendship and so on and so forth. As if we talking about eyes,eyes are perhaps the trickiest body part to ever exist. Let’s get down to business while we discuss Makeup for Different Types of Eye Shapes. our lips are a part of our facial beauty and what’s more there is a science that tells you what your lip shapes reveal about you. Cool, huh? 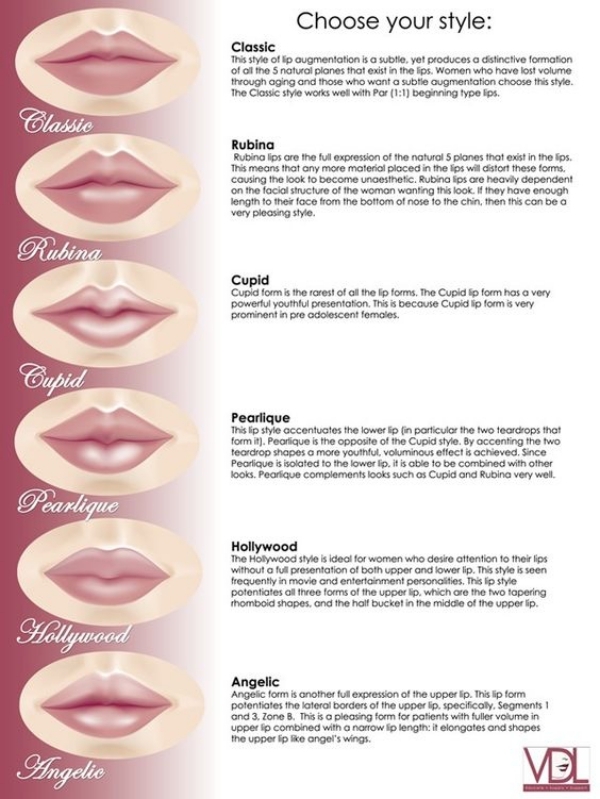 Let us see what lipsology or the Different Types of Lips Shapes in Women reveals about your personality… Some may be known facts, but I am sure, few may actually blow your minds off. So, be prepared peeps! Women with a very prominent Cupid’s bow and full lower lips are strong willed and independent. They are also extremely glamorous and passionate in all that they do. The personality type is creative, clever, and full of positive energy. These women are often in possession of a quick wit as well. Some women have lips that almost form a full circle. They are the charismatic and adventurous sort. These types of people usually brim with self-confidence and don’t hesitate to take risks. Therefore, they can either reach the pinnacles of success or end up as total failures. Women with both upper and lower lips that are thin and almost no Cupid’s now to speak of, are normally introverts. They like to be in control of situations and can be ruthless in their path to success. However, they do have a soft side under wraps. Did you ever dream that different types of lip shapes in women would reveal so much about the inner you? These types of lips are not too thick or too thin, nor do they have a prominent Cupid’s bow. Such women are very level-headed and not too demanding. They are also extremely rational in their approach and considerate. They make good partners in life. Those with wide lips have a face whose lower portion is covered a great deal by lips. Both wide in length and breadth, women with such wide mouths are natural extroverts. They make friends easily and have a rebellious streak in them as well. Such women are good leaders and perfectionists. You might wanna know more about how to have a healthy glowing skin naturally and quickly. What Does Shape of Lips Mean? “Goldilocks” Lips are the ones with no well-defined cupid bow and aren’t too thick or thin as well. Congratulations! Because such shape of lips totally explains how self-sufficient you are. Although, you do feel a severe need to feel connected in relationships. Fuller Upper Lips are really attractive personalities since they tend to keep others’ choices and needs above themselves. They have a giving personality! People with Fuller Lower Lip are attention seeker and wish to be pampered all the time, according to studies. You believe in enjoying life and living it to the fullest. Both, Upper and Lower, Fuller Lips are the ones with strongest aspiration to be mommy and your deeply caring about others make you the best friend material. Both, Upper and Lower, Thinner Lips is a feature that states a loner personality and someone who is okay with it. Talking about different types of lips shapes in women, you might be finding it difficult to change your lip shape to your favorite one. I am sure makeup hacks and knowing about these brushes can help, though! Practice Vowels – Practicing vowels, that is,”a, e, i, o, u” by making free lip movements will not only shape your upper lip up but also help vanish that double chin. This is one of the most effective facial exercises to shape up your facial features. You will feel your facial muscles contracting and stretched as you practice these exercises regularly. Here’s to slimming chubby face! Pouting and Sucking – Lift your pursed lips as high as you can and count to 5. And then enact sucking something again counting to 5. Do it over and over for atleast 10-15 times and VOILA! 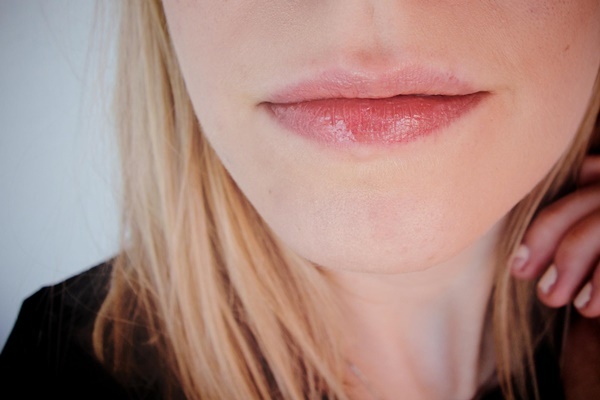 This exercise will make your lips fuller and in shape. In a span of a month or two, you will observe your skin tightening and wrinkles getting vanished. The Poppy Exercise – Close and press your lips inwards. Further, wait for a moment and make a popping sound to relax with lips gently pursed again. Fun, isn’t it? Go on doing this while working and you multitask into shaping your lips to look more attractive. 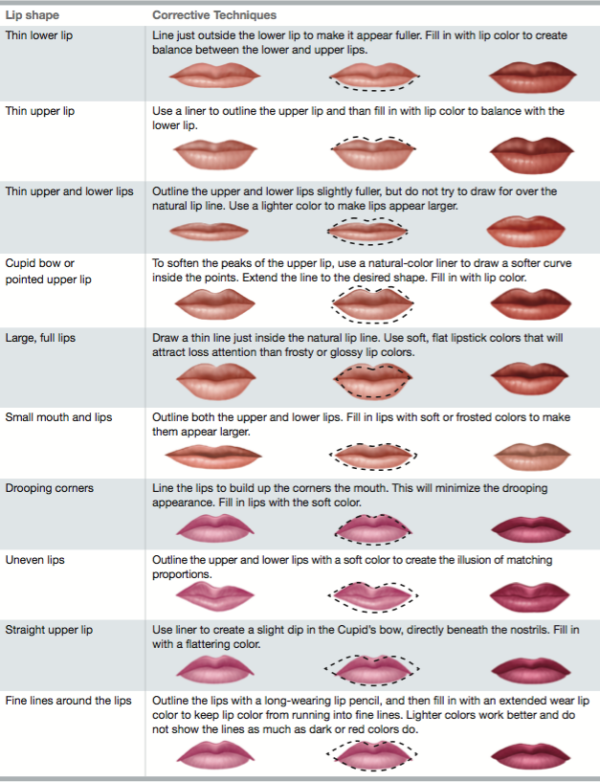 How to Know your Lips’ Shape? It will make for a great coffee break at work with your gal pals, if you analyze the Different Types of Lips Shapes in Women for them to reveal what kind of personalities they have! Just have fun and remember not to offend anyone’s feelings! Isn’t this a cool way to know a little more about people in the very first meets and have fun with facts that make lipsticks so interesting?